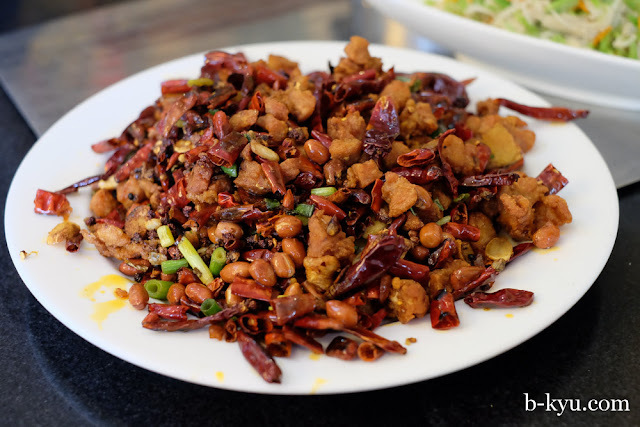 An acute craving for chilli and Sichuan pepper drives us down to Hurstville to satisfy the need. Spicy Sichuan does what its name says, leaving Shawn with a chilli sweat gloss to be proud of. There's no stopping the craving when it strikes. Smokey wok fried chilli and peppers in a Sichuan dish are a magic combo. The bus station side of Hurstville is developing into a spicier northern Chinese influenced area, past the Meridien pub on the other side seems to be more Hong Kong or Cantonese styles. Hurstville is where we think of going after an aborted attempt to get over to Rhodes, another developing area for this style of food. One of the strangest parts of this restaurant isn't the tiny table near the front door they sat us at, it's the ipad ordering system. The menu is divided into sections, with each dish taking up a page on the screen. It makes scanning the menu quickly very difficult as you need to laboriously flick through each screen in each section to see what's available. You press the image of what you want to add it to the menu, but you'll need to be able to read Mandarin to see what you've ordered. The bonus is a picture of each dish, especially where some of them are new to us, but it takes a lot of time to look through. We ended using the takeaway menu to find what we wanted, then looked it up on the ipad and added it to our order. Bonus points to the staff for being so helpful and patient with us while we got the hang of it. Mixed suger snap with enoki mushrooms - $9.80. This last minute edition turned out to be the hit of the day. 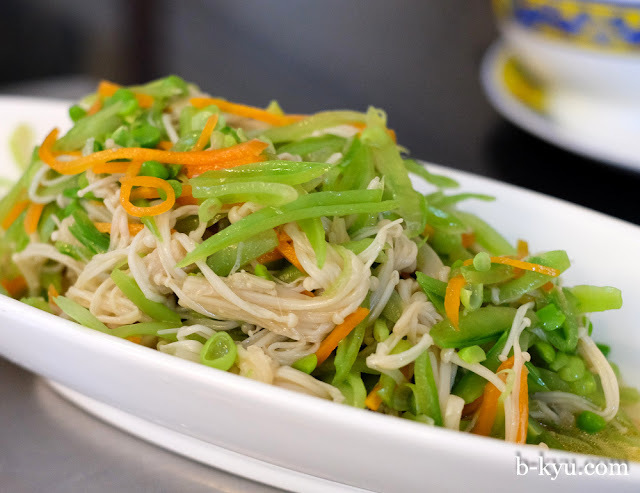 A simple yet perfect cold dish. 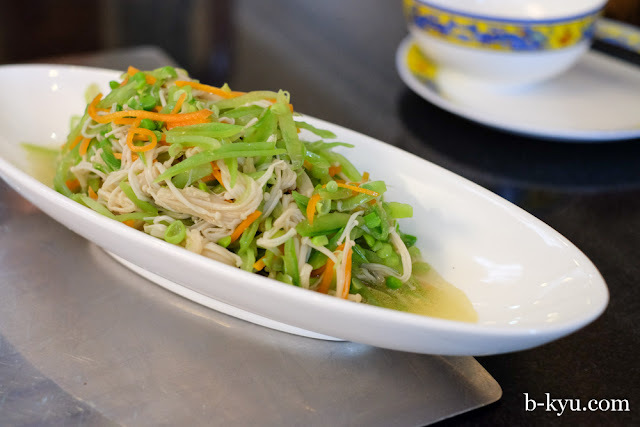 The enoki mushrooms are lightly blanched so they are almost noodle like, and the peas are shredded so finely they're almost unrecognisable as to the original bean. Add in some shredded carrot and a garlic, salty, sweet and sesame dressing and the work is done. Dry fried chicken with red chillies - $23.80. Little chicken munchies deep fried then dry wok fried with peanuts and loads of roasted chilli and Sichuan pepper. The idea is to slowly pick out the protein and leave most of the chilli behind, it's a great dish to linger over. 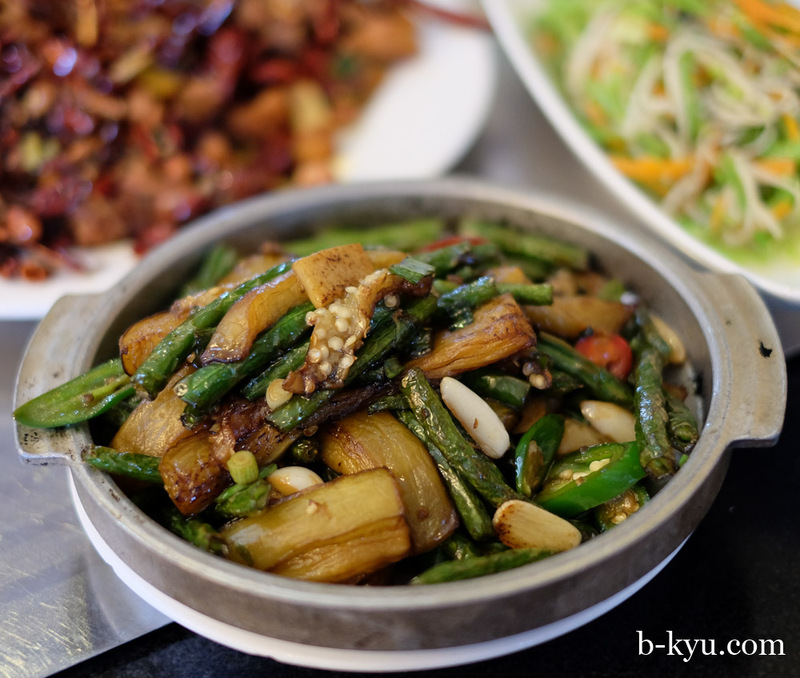 Fried eggplant with string beans and green chili - $14.80. This dish was fresh and very mild on the chili, with a strong flavour of dark vinegar which we're going to try and recreate at home. The eggplant is silky and is a chilli antedote when things start getting too hot. Hunks of garlic bulb are small hidden treats. Dinner winner. 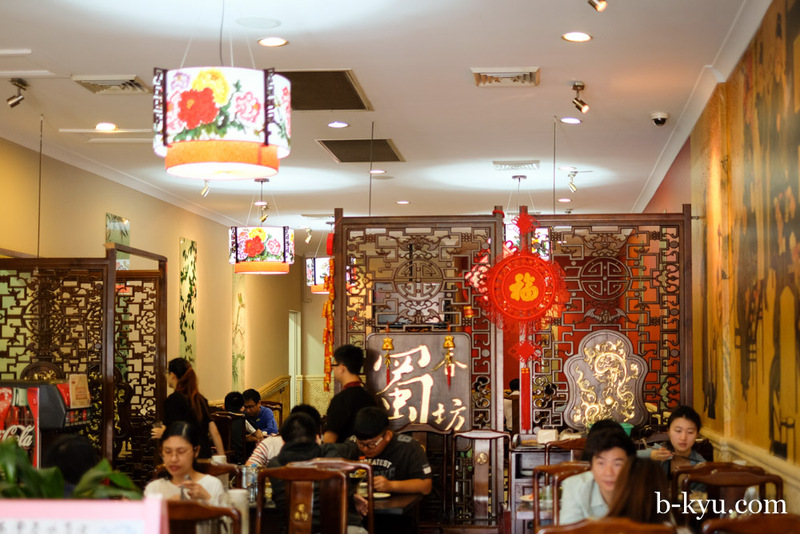 Spicy Sichuan is at 364-366 Forest Rd, Hurstville. Phone 02 9586 2877. This post was brought to you by Mr Stimpson J. Pussycat (actually his real name) of Enmore. 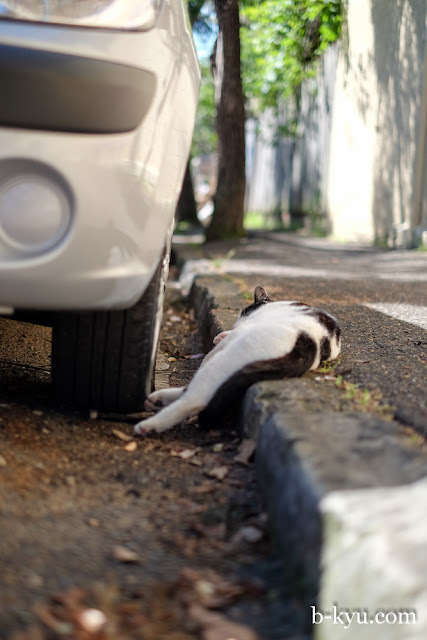 He's long, languid and lazy on a hot day, too lazy to pull his hind out of the gutter.